Dedicated in the spring of 1863, this building served as a temple of worship for 10,000 Chinese then living here. Funds for its erection and furnishings were provided by the Emperor and Empress of China and local Chinese labor built the structure. 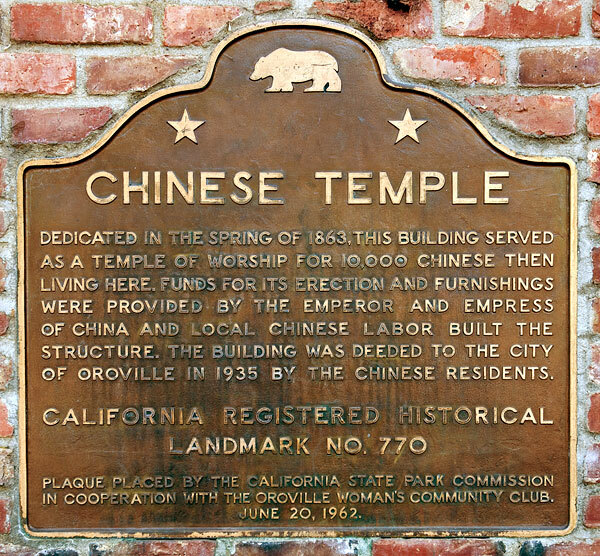 The building was deeded to the City of Oroville in 1935 by the Chinese residents. 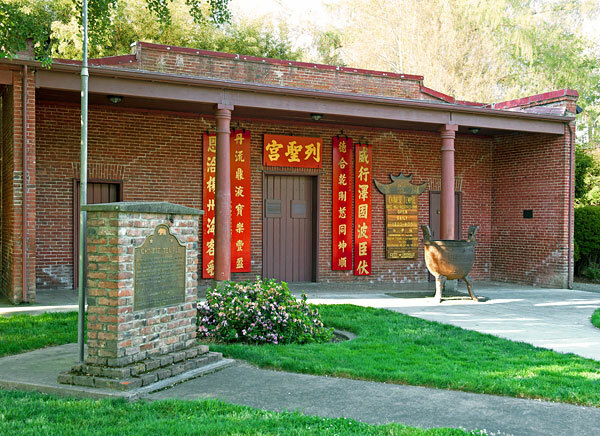 The Oroville Chinese Temple is also National Register listing #76000478.